Last time I wrote about how some introduced species can become invasive, and the damage they can do in that capacity. Without re-hashing that conversation, there is another type of introduced species which has a much different fate, not only for local populations but also for agriculture and nearby communities. In short, these guys are the good guys. I am referring to the use of beneficial insects as a way to control outbreaks of damaging insects amongst economically valuable crops. 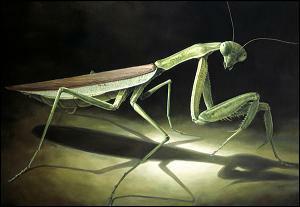 A variety of insects fit that bill, but one of the best is the praying mantis. Mantids (the plural form of praying mantis) look like something right out of a bad sci-fi movie with relatively large eyes, pincer arms, two more sets of nible legs, long narrow bodies and a voracious appetite. There are hundreds of mantid species living perfectly natural lives in their various ecosystems in various tropical and temperate zones, on multiple continents. For our purposes, however, there are a few species of mantid which lend themselves very nicely to agricultural usage. In particular, the Chinese Praying Mantis (Tenodera aridifolia sinensis) is marketed and used as an organic and sustainable method of pest control. This species conveniently arrives in egg cases, to be hatched out right where they are needed. Growers and farmers (including us) buy in the egg cases in advance of expected pest insect population increases. The egg cases hatch out with dozens of hungry little mantids ready for their first meal. Turn them loose in your greenhouse or garden, and they’ll make a nice job of many (but not all) pest insect populations. The one downside to mantids is that they are indiscriminate predators - they’ll eat anything they can catch. Fortunately, they are warm-weather insects and as such they will not survive most North American winters. As such, they do not meet the definition of “invasive species” which we discussed in last time’s blog. Sadly they don’t eat every type of damaging insect, particularly aphids, spit bugs and other insects which move slowly and secretly. Another beneficial insect which does prey specifically on aphids is the homely ladybug. A favorite insect of children and a frequent visitor to most temperate gardens, the ladybug is actually a rather voracious predator in its own right. But it has very specific tastes - namely, aphids. Ladybugs adore eating aphids, and will do so with great efficacy when released for that purpose. Like mantids, ladybugs can be purchased in advance of anticipated need, and released into a growing area or greenhouse. Unlike mantids, ladybugs can and do sometimes fly away for locations unknown, if the hunting isn’t to their liking. That can be a problem for outdoor growers, not as much for greenhouse purposes. I should note that some areas have such large ladybug populations that they are considered pests, because they congregate indoors during cooler weather. So if aphids are a problem for you, check first to see if ladybugs are already populous in your general area, or possibly considered seasonal pests. With caution, they can be used very effectively for aphid control in some areas. Another beneficial insect is the lesser known but very common lacewing. This pretty little insect doesn’t render its service as an adult, but rather while as a larvae. The larvae are sometimes known as “aphid lions” for their appetites, but they will happily feed on any soft-body sucking insects, including not only aphids but also other pests such as mealybugs, scale, spider mites, some caterpillars, thrips, caterpillars, and even insect eggs. Just as with the mantids and ladybugs, lacewings can be purchased mail-order and delivered to your location for pest control. So far we’ve talked about insects which must be purchased, but there are a variety of local insects which also provide valuable services. In the Pacific Northwest (as well as elsewhere), orchard mason bees serve as native pollinators, often providing those pollination services when it is yet too chilly for honeybees to fly. Native bumblebees also serve as pollinators for a wide range of plants, and they occur throughout North America. Predatory wasps such as the syrphid wasp are widely distributed across North America, and help control pest populations by laying their eggs inside caterpillars. These small wasps can be encouraged into your fields and gardens by planting their preferred food crops near your market crops. In this area, the flowers of nipplewort can draw syrphids into a growing area. Conveniently, nipplewort is also a very tasty wild edible that can also be sold as a wild green. Another predatory wasp is easily confused with its target prey item, namely the flies which build up around livestock pens. These small black wasps deposit eggs in biting fly species, which then prevent those fly populations from building up to become noxious in and around livestock areas. Thus we see that what some would call weeds and bugs can actually be economically valuable food crops and beneficial insects. I was finishing up my rounds a few nights ago, walking through one of our forested areas back towards the house, when I saw movement off to the side. A flash of green movement, close to the ground, moving from one puddle to another. I stopped and swept my flashlight over the area and saw the critter - a juvenile frog. It was still cool enough during the evenings that he was moving fairly slowly. In only a few minutes I was able to gather him up and bring him inside for identification. His species would determine his fate. A regional native, and he’d be released back into the woods. An introduced, so-called invasive species, and he would spend the rest of his days in captivity. Introduced species are not a new thing, and there has been a lot of debate over whether they categorically represent as big a threat as some would claim. Almost by definition, agriculture is the introduction and deliberate management of select species into environments which didn’t already include them. The vast majority of our major food crops and livestock species were developed in Eurasia, so any farm in North America includes introduced species. So the identification of my little green friend was more than mere curiosity on my part. Our region is home to a variety of small frog species, including the small Pacific Chorus Frog for which our farm is named. These species are deeply woven into the forest, meadow and riparian ecosystems in which they live. Disrupt those populations and the related plant and animal communities become stressed and eventually dysfunctional. Yet that has already happened with regional introduction of plants like Himalayan blackberry and, in the context of my little green friend, the deliberate introduction of the American bullfrog. Someone decided a number of years ago that the Pacific Northwest would be a lucrative location to raise American bullfrogs for frogmeat. Populations of bullfrogs were brought into the area, then either accidentally or intentionally released. Those bullfrogs proved to be so successful here that they started to out-compete the local frogs. But it didn’t stop there. 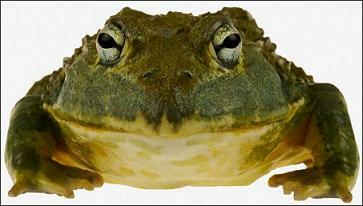 Bullfrogs can grow large enough that they can also eat fish and small birds, which created further problems. While not as economically devastating as the introduction of Himalayan blackberry, they can disrupt beneficial insect and bird species. Disrupt those communities enough and we start to get economically significant pollination failures, pest species buildup, disease vector buildup, crop damage, etc. The real threat with invasive species is that we simply don’t know the damage they can do. Yet, by merely being a farm, we have already brought plants and animals into this landscape which wouldn’t otherwise be here. So are we being hypocrites by deciding that this particular introduced species is OK, while that particular introduced species is not? Possibly. My honeybees are definitely introduced, and they definitely disrupt the native pollinators. Goats disrupt the browsing activity of native deer, and our livestock guardian dogs have definitely changed the movement and hunting habits of the native predators. So where is the line between “introduced” versus “invasive” on a family farm scale? In my mind, that line in the sand occurs when an introduced plant or animal could easily escape captivity and survive long enough to create new generations and thus sustain a new population. Most of our crops and animals would therefore not qualify. Our pigs could escape and go feral. If they happened to escape while pregnant, yes they could survive awhile out in the woods, but I suspect they would not survive too many generations on the gleanings they’d find (other parts of the country are experiencing feral hog issues, but not this far north). Our dogs, similarly, could conceivably escape and cause headaches, but being neutered they wouldn’t create new feral dog populations. The only creatures on the farm that could escape captivity AND establish new sustained populations are our honeybees. We manage them to minimize that risk, since not only would it displace more native pollinators, but we’d lose that hive productivity (and income). So our farm, while definitely being populated by introduced species, doesn’t really register on the “invasive species radar” as being a source for new problems. When I got my little green friend into the house, it didn’t take me much time going through my field guides to determine his species. Happily, he was in fact a Pacific Chorus Frog. Good news for him. I took him back outside that very night, deep into the woods where he wouldn’t fall prey to any of our introduced meat-eaters, and turned him loose. He jumped away, to a fate that only he and the forest would know. It seemed a very small gesture on my part, catching and then releasing one little frog out into the big world as some token of ecosystem solidarity. But I don’t think it was a wasted effort. Small gestures like that do add up, and I’d like my small gestures to add up in ways that I can feel good about. Go live a long productive life, little green friend. 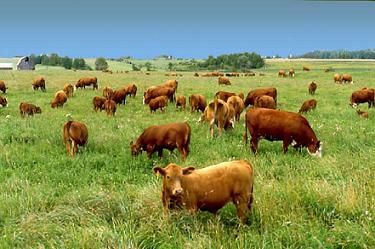 As I’ve written in the past, I’m a member of various livestock, grower and sustainable agriculture email lists. I think the current count is 22 lists. So any given day, I get a lot of different email from folks asking a lot of different questions. One such question caught my attention recently because of what it implied about us and our modern priorities. The question seemed simple enough - can a person build an automated system, such that plants are fed, watered, warmed and cooled, lighted and shaded, sufficiently well that a human being need not tend them every day? This particular person wanted to plant seeds, then have the system “take over” and do the majority of the work involved in growing the plants. Then after several weeks, the individual wanted to come back and harvest what had grown during his absence. On the surface that seemed a perfectly reasonable question. Growers certainly have a wide variety of options for automating many of the mundane tasks in crop production. Most folks have at least heard of hydroponics, where plants are grown in soil-less conditions, and fed a carefully measured and metered irrigation solution. Furthermore, these plants are often grown in greenhouse environments where the air temperature, light, CO2 concentrations and even the humidity is held to within very narrow, near-ideal conditions. Plug in enough little motors and gizmos and surely, all we’d have to do is show up once to plant and once to harvest. Right? As is so often the case in life, the real world is much different than our expectations. The above controlled atmosphere agriculture, as it is sometimes called, does indeed feature a great deal of automated features. But that doesn’t remove the human element from the equation. In some cases, human presence is even more critical as a result. For instance, consider two greenhouses of equal size, one without any automated systems and the other with automated irrigation and ventilation. In the first greenhouse, a human being must be there to water the plants every day. Right now in our production greenhouse, that task takes maybe 30 minutes, during which time we can inspect all the plants as we water. In the second greenhouse, presumably the automation would water each plant at the prescribed time, in the correct amount. But what if the power goes out? What if there’s a clog in the line? What if any one of 100 things happens to goof up that system? 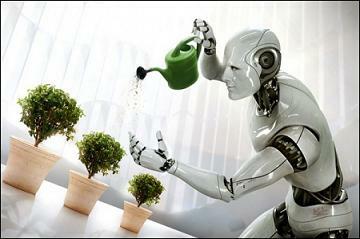 If a human being is present and checking the plants, such problems can be identified and resolved very quickly. If a human being is not present, or is there but distracted by other tasks, an entire section of plants (or the whole greenhouse worth) can go without water for some time. Possibly long enough that the crop would be either set back, stunted, or lost entirely. Additionally, that time spent checking the plants each and every day will often discover issues which might otherwise go unnoticed. That small target-shaped lesion on that single leaf today can quickly become a full-blown disease outbreak tomorrow if we weren’t there to notice it. That single moth today can be the leading edge of a major insect infestation tomorrow if we weren’t there to set out traps at the first signs of that population’s arrival. On the flip side, perhaps that single tomato is fruiting a full week before any of the plants around it. Or that single basil is half again as tall and somehow glossier and more full-bodied than all the rest, even with identical management. We’d miss those standout candidates if we weren’t there in person. Livestock are the same. I have talked to people who think that animal management consists of tossing hay over the fence twice a day (if that). That will work for awhile, perhaps a long while. But if you’re not there to see that they’re eating a weed you have learned is poisonous, or that they’ve developed a runny nose, or they’re in labor a little too long, it’s all too easy to come home and find that your lively animal is now a dead animal. People are so shocked when livestock suddenly drop dead, apparently with no warning. Yet the more we watch them and learn their subtle behaviors and appearances, the fewer times we’re surprised. Another issue with automation is that, sadly, it is as prone to breaking down as any other kind of machinery. A simple power fluctuation can trip the breakers and reset the system (or crash the system). Fan motor belts can slip or break, irrigation filters can clog, automatic feeders can jam, water valves can be wedged open or corroded shut, such that the usual and desirable ebb and flow of events on the farm can suddenly go sideways. Not to mention that automation is expensive. There are already enough costs with a farm, we probably don’t need to go adding any more if we can avoid it. I recall once arguing about the merits of an automated watering system in barn stalls, versus regular old buckets. The system in question was prone to freezing during winter, such that we still had to go out and bust up the ice before the animals could drink. Furthermore, the floats would sometimes start to bind at colder temps, such that the moving water would flood over the bowls and make a sloppy frozen mess. I pointed out that buckets were faster, cheaper, easier to work with, less prone to breakage, and could be replaced at any hardware store for only a few dollars. That statement was not well received by the farm owner, who had spent several thousand on the watering system. But in terms of hassle factor, the farm owner may have been money ahead (let alone have fewer headaches) if he had chosen to stick with buckets. What’s the lesson here? Yes, automation and machinery can reduce the workload in any agricultural operation. Those tools can help one person do the work of three people, and sometimes more safely or cost effectively. To be sure, such tools can help folks who must be elsewhere (for instance, working at day jobs or tending the kids or running errands). But automation won’t eliminate human involvement entirely. Furthermore, the time we spend doing some of these tasks in person gives us the chance to be aware of and monitor other issues which would have gone unnoticed in our absence. Simply put, there is no substitute for simply being in the fields, in the barns, in the greenhouses. There’s a Chinese saying that goes “the most potent fertilizer is a farmer’s shadow.” I think the best that any of us can do is balance out the benefits of being there in person, and using carefully selected equipment to make that time as productive as possible, versus the cost and headache of having a system so complex that we spend too much time fixing mechanical problems. There is a happy medium to be found between fully manual and fully automatic or highly mechanized systems, in any agricultural operation. That sweet spot will be different for me and my farm than for you and yours. The trick is to find it and maintain it. That way we not only have time, money and energy to do the work that needs doing, but we also have time and energy left over to stop and smell the roses once in awhile too. Our week last week did not get any easier after we learned of our friend’s cancer diagnosis. I have already discussed the nutritional aspect of that diagnosis in my previous blog. But the actual day of the surgery (and subsequent diagnosis) was also something of a scheduling trainwreck. Her surgery had been scheduled for 1pm on a Tuesday afternoon, and was only supposed to take 1.5 hrs. I drove down to the hospital, an hour away, to be with her family during that time. But delays at the hospital pushed the surgery back until 6:30pm. Then that expected completion time came and went, yet the surgery continued. To make a long stressful story short, I finally had to leave around 9:30pm that night, and she was still in surgery. The whole family was starting to really worry, and I very much wish I could have stayed with them. But I absolutely had to get home and attend to chores. I got the call while driving home that the surgery was still underway, but that the surgeons had found cancerous tumors. I immediately asked if I should turn around and head back to the hospital. “No, you’ve got stuff you need to do. But please come tomorrow as soon as you can.” About 10 minutes later, I pulled into the farm driveway, already upset by the diagnosis. Then I heard the sound which made my anxiety and stress levels go even higher - a farm full of animals very anxiously mooing, neighing, nickering, baa’ing and barking for their very late dinners. I got through chores as fast as I could, but still didn’t finish until after midnight. I stayed up another hour, talking to my friend’s husband about the diagnosis and what that meant for the days and weeks to come. The day after her surgery, I spent most of that day at the hospital with her and her family. It was an emotional, draining time. But I made sure to leave the hospital that day in plenty of time to get home and do chores at the standard hour. When I got home, I found an official notice on the farm gate. Someone had called Animal Control the day before (during my time at the hospital), and had complained about our farm. My first thought was that the noise had annoyed someone, and I could sure understand how that would be the case. But instead of complaining about barking and mooing and neighing, the complaint had been that our animals were subject to cruelty, neglect and deplorable living conditions. I stood there at the gate, dumbfounded, staring at the formal notice. Cruelty and neglect? Deplorable living conditions? Us? It felt like a kick to the head, after what had already been a horrible 24 hours. The notice said I needed to call the officer back the next day, and schedule a site visit. I went inside and wearily sat down on the couch, trying to figure out why anyone would have filed such a complaint against us. I wondered if perhaps a neighbor had been upset over the noise. But why would they complain about deplorable conditions which didn’t exist, if they were mad about barking and mooing and nickering? Perhaps because a report about barking dogs would not require a farm visit from Animal Control. But a complaint about cruelty and neglect would. We have had run-ins with one neighbor in the past about barking dogs, and we took steps at that time to control that barking. 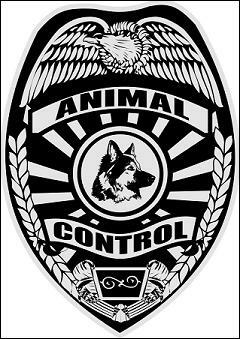 We got our kennel license in August to demonstrate our good faith efforts at meeting county animal welfare and noise laws, and being held to those standards. We were told at that time that as long as we were within those guidelines, no one could hassle us about our dogs. Yet here we were. The only thing to be done at this point was to schedule that visit with Animal Control. I called the officer and left a voicemail, saying I’d be happy to have him come out and check the place. I didn’t hear from him for two days, during which time I think I sprouted a few more gray hairs as I continued to stew about this whole thing. Finally he called me back, and apologized profusely for not getting back to me sooner. He indicated to me that he had already seen enough from the farm gate to know that we probably didn’t have anything to worry about, but that the law required a site visit and pictures. We arranged for him to come out that following Wednesday the 13th. I hung up, not really feeling any better. After stewing some more, I called my livestock mentor who, amongst other things, regularly goes out with her own county’s law enforcement to inspect alleged cases of cruelty or neglect. We talked for awhile and she offered to come up to the farm to look for herself at our current conditions. Furthermore, she offered to help us correct any issues that might have cropped up since her last visit. I got off the phone with her much relieved, since I knew she’d give me both an honest and an experienced opinion about whether we were doing anything wrong here. Plus, if she did find anything wrong, we’d have a chance to make it right before the inspection. That visit came a few days later, and I was very relieved to hear that she didn’t see anything which sent up major red flags. What she did find, however, were a few instances where we’d apparently gotten a little behind the management schedule. Each area could use a little work - goat and sheep hooves needed to be trimmed, the horses weren’t as clean as they could be, the pigs could use more bedding, and the cows needed to be rotated into new quarters. All true. Also, she noted that the horses were a little thin. I had dialed back their winter supplements with the onset of warmer weather, only to have to put them back on those supplements 6 weeks later when our spring fizzled out and we returned to winter temperatures. They had lost a little weight during that interval but the re-introduction of their supplements already had them gaining weight again. They were bright and sassy, healthy and active, which is what I look for when assessing my animals’ health. My livestock mentor suggested perhaps someone thought otherwise. So during our workday we addressed all those issues, along with generally tidying up the place. We finished hungry, grubby and tired, but quite pleased with what we’d gotten done. The Animal Control officer came out promptly that next Wednesday, and as promised his visit didn’t take very long. During the visit he did note that the horses were a little thin, but he was satisfied with their housing and that I had boosted their supplements intake. He didn’t see anything else on the farm that needed further action or comment. So I finally asked him the question which had been on my mind ever since that day I found the notice - what here would have caused someone to complain about us? His answer was both surprising and understandable. He said that folks driving along the road, or neighbors looking at our place, might have their own ideas about what constitutes adequate livestock housing and care. If we didn’t meet their standards, they were free to call and complain. And complain they did, about all sorts of farms, horse stables, and other animal operations around the county. He told me that some of the better-known facilities had been reported for neglect and cruelty just like we had been, by well-intentioned tourists or city visitors who have never in their lives taken care of livestock and had no idea what the animals needed or wanted. And then he told me he’d checked our records prior to coming out to our farm. “You’ve been here for 10 years, and this is your first complaint? That’s rather amazing given how readily folks call about minor issues. You must be doing things right if this is the only complaint you’ve ever received.” He warned me that most farms with livestock get calls like this as a regular occurrence, so I should fold that into our management plans. If nothing else, we needed to develop thicker skins. And if we ever had questions about whether our practices were sufficient, he would be happy to proactively consult with us in the future so that perhaps we could minimize the chance of future calls. I came away from that visit with a much greater appreciation for several things. First, our society has a very pronounced attitude of “do it myself”, even when we could really benefit from getting help. Having a workday here with just one other person made a huge difference in terms of what we were able to get done. It was so productive, and oddly so enjoyable, that we plan to have a lot more of them in the future. Yet prior to that, I never would have asked for help. This is my job and I should be able to handle the workload. Well, life happens and surprises slow us down, and sometimes we get behind. When we try to make up for that without assistance, often we only dig ourselves in deeper. Take that attitude far enough and we end up in early graves. Secondly, I learned that I don’t need to be afraid of Animal Control. In some counties that department is known as Animal Services, and that’s really what they’re supposed to do. Putting aside the intimidation factor, I could have been utilizing them as a how-to farm management resource this whole time. Knowing now that farm complaints are a fact of life for most operations, I will absolutely be consulting with them in the future for how to ensure we don’t illicit comments or concerns from the public like that. They are another tool in the farm management toolbox, paid for by our tax dollars. Time to learn how to make good use of those resources in a proactive, instead of reactive, fashion. Which according to the officer I met that day, is their favorite task. So perhaps that notice on the gate wasn’t such a setback after all. Not only are we now on record has having been inspected and deemed okay, but I learned two really important things in the process. That can only help make our little farm a little better from here on out. I learned a week ago that my best friend has ovarian cancer, discovered during a surgical procedure. As with anyone making that discovery, the news hit all of us really hard. Suddenly everything changed. My friend and her husband realized that they needed to make some fundamental life changes to help her fight her illness and regain good health. Amongst those changes was a newly ferocious desire to dramatically change the way they eat. Their diets had been what I would call “standard American fare”, with reliance upon the conveniences of highly processed foods, a lack of fresh produce, and an over-abundance of “heavy” foods such as meats, sauces, pasta and other high-calorie items. As of that diagnosis, they both decided they wanted to only eat “good” food. But beyond that, they weren’t sure what to do. Then as so often happens, they ran right smack into the realities of that decision. They began to get lost amongst the hundreds of food choices we face in many so-called “developed” countries. Which ingredients are OK, and which aren’t? What’s the difference between Certified Organic, sustainable, local, and certified Naturally Grown? What are all those extra ingredients on the food labels? How could they be sure that the foods they were eating, were actually meeting their health and nutrition needs? And what about all their so-called comfort foods? Changing a family’s diet overnight is a challenging task for anyone. The myriad of choices and decisions can be overwhelming. Because I’m the only farmer they know, they asked me for advice. My first disclaimer is that I’m not a nutritionist. Part of my friend’s treatment plan included appointments with a registered nutritionist. So they are receiving competent advice in that regard. But they did want to know how to find the “best” ingredients for their new menu of choices, and that’s where they wanted my input. Helping folks hook up with solid, reliable sources of fresh foods is only the start. Sticking with that new lifestyle can be the real challenge when it goes head to head with the realities of a busy corporate life, a compressed home schedule, and a lack of time, energy or budget. The best answer I could give them was actually a combination of strategies: buy local, buy foods as minimally processed as possible, and make as many things from scratch at home as they can, using as many kitchen conveniences as possible. Hopefully in that way, they can get the freshest, most nutritionally dense, most diversified foods as possible, without being a total slave to the kitchen. Buying local is getting easier all the time. Farmer’s markets, CSAs and “buy local” policies at many grocery store chains are transforming the American eating experience. But it still takes a bit of work to source those foods because “local” can mean different things to different people or companies. For instance, in this region, “local” generally means anywhere in the 12 county Western Washington region. Yet for other geographic areas, “local” may mean either a much larger, or much smaller, area. Even “local” foods can include ingredients brought in from far away. For instance, many livestock owners in Western Washington (and therefore the beef, lamb and chevon they raise) rely on winter hay trucked in from Eastern Washington. Not exactly local. Additionally, the decision must be made about how to source ingredients which aren’t typically grown here. Western Washington is not a citrus-producing region and probably never will be. Nor do we have strong local grains production (although that latter part is finally starting to improve). So anyone wanting citrus would have to bring in either raw fruit, or citrus products, from at least as far away as California and Arizona. Anyone wanting to mill their own grains need to bring them in from intermountain and/or plains areas of the country. Or grow their own. Swine and poultry feeds are often made from grains sourced in the Midwest. But we have to start somewhere. For my friends, I hooked them up with a year-round farmer I know, who not only produces a lot of his own certified organic products, but also works hard to source products from other certified organic growers in other parts of the country. It wasn’t perfect, but it was a one-stop-shop for high quality products, produced by small family farms. It was orders of magnitude better than Walmart or Costco groceries. Even when raw ingredients are sourced locally, still they must be transformed into meals. The convenience of a meal in a box must be replaced by learning how to cook from scratch, and how to do so efficiently given our society’s work-until-we-drop mentality. Examples of cooking from scratch in efficient ways would include learning to make their own bread in a bread machine. I know for some folks that’s sacrilege (and it was for us as well) but the advantages are compelling. Most breads available in the grocery stores now, including certified organic breads, have a long list of ingredients which ensure a certain amount of shelf life and transit stability. Breads made from scratch are actually fairly fragile, having a “good eating” lifespan of only a few days. If made at home, breads only need a handful of ingredients - flour, yeast, some kind of sweetener to feed the yeast, some kind of liquid to bind the flour, and sometimes salt to regulate how much the bread rises. My standard recipe is flour, butter, salt, sugar, milk and yeast. That’s it. Even those ingredients can be further reduced if you really want to go all out and become a minimalist. But that loaf should be consumed within two days or it’ll begin to go stale. Many commercial loaves haven’t even been delivered to the grocery store within that timeframe. Hence the preservatives. The breadmaker part of things comes into play when we realize that yes we love to bake bread, but darnit we don’t have the time to knead, or wait for it to rise, or knead the second time and wait for the second rise., then pop it in the oven and be home in time to take it out to cool. I used to make all our bread from scratch, with my two hands. It was pleasant work but I needed a fair amount of time to do it. Now I put those ingredients together in the bread machine and press a button at 10pm at night, and voila that next morning we have fresh bread. Not the work of art and labor of love that it used to be, but I have fresh bread made with ingredients I control. A pretty decent compromise. One further suggestion I made was that organic produce was good, but organic meats and cheeses were better, from a “no unnecessary ingredients” point of view. The reason for that distinction is due to a concept in biology called “bioaccumulation”. In summary, many toxins in the environment become more concentrated as they move up the food chain. That concentration can result in poisoning and toxicity issues for the end consumer (that’s us), even if the original environmental concentrations were very low. For more information about that topic, click here for more information. Given that process, eating meat, eggs and dairy products from animals living in more natural environments is a better investment of our grocery dollars, in terms of limiting our exposure to unwanted toxins and contaminants. There are also many debates about which form of production is best in that regard: organic certification, “Naturally Grown” certification, or simply local, conscientious production? I would argue that any of those three is vastly better than some bargain meat from distant feedlots. My friends have their work cut out for them, sorting through all their new food priorities. I suspect many of us should be making the same review of what we eat. My husband and I have voluntarily joined with our friends in eliminating many “convenience foods” from our daily diets, in favor of healthier products. Not only because of known health issues, but because we know how hard it is, yet how valuable it is, to “walk the talk” and make those changes. We as a nation could really benefit from making more such changes. I suspect we’d be healthier and happier as a result. My farming partner and I have been monitoring a strange development with our seedlings this spring. Neither of us have seen this particular problem before. An apparently random collection of seedlings, of assorted species and varieties, will be going strong until some unknown trigger, at which point they wilt, keel over and die. It’s not damping off disease as far as we can tell, nor is it insect damage. We have noticed some, but not all, of the “victims” have mild to moderate root rot. We’re not sure if that comes in prior to their wilting, and is thus the cause, or if it is opportunistically attacking roots on an already weakened plant. We thought perhaps we were over-watering, so we cut that back to bare minimums. And still we had problems. Not a lot - say about 2% of our tomatoes and peppers. But enough to notice the pattern. What was our solution? We replanted the seedlings into new soil, and then we used foliar feeding to give the plants a bit of a nutrition boost. We also sprayed the plants which didn’t have any symptoms at all, as a preventative. It’s hard to say for sure, because a true experiment would have had a control population with no treatment. We could then have seen if the control population had higher death rates than the plants fed via foliar feeding. But after we started the foliar feeding, the incidence of that unknown syndrome seemed to drop off. Whether the foliar feeding actively stopped an imminent disease process, or simply strengthened the plants so they were more resistant, we’ll never know. But it was nice to see fewer and fewer casualties even as we continue to do subsequent seedlings. Foliar feeding is not a new technique. It is, however, a tool that I think is under-utilized and under-valued as a really valuable way to give plants the nutrients and even disease treatment, quickly enough to save either an individual or a whole crop. I wanted to take a little time to explain what it is, how it works, and what results it has had - both in rigorous experimentation as well as last-ditch attempts to save a crop in the field. Foliar feeding is the method of spraying a plant with any type (or combination) of fertilizers, beneficial microorganisms, or outright fungicides and pesticides. These substances are dissolved into water for a typically fairly thin “soup”, which upon spraying will coat the surface of the leaf. Some sprayers only coat the upper surface of any given leaf (because the spray is applied from above the plant). Other sprayers actually deliver the spray under the leaf, where most of the leaf stomata are located. For those readers who maybe aren’t sure what a stomata is, think of them as thousands of little microscopic openings in the leaf surface, through which the plant can breathe. It is through the stomata that any kind of foliar feeding nutrients get into the plant. For small crops like our seedlings in a single greenhouse, we can use a backpack sprayer or even a little household-sized handheld mister bottle. For field crops, the misting is more commonly done with a boom sprayer implement on a tractor. Large-scale spraying can be done by airplane. More importantly than how the spray is delivered, is the question of what’s in the spray and when is it administered. Therein lay all the details that really matter. The ingredients in the spray can vary widely, depending on why the plant is being sprayed to begin with. Ingredients may include readily-assimilated nutrients, such as either organic or inorganic fertilizers, which will feed the plant and improve its vitality and resistance to disease. Other sprays include drugs to treat a disease, such as copper to treat fire blight in apple trees. A third category is spraying plants with a collection of or natural or man-made substances that will render the plant more resistant to attack. Two examples of this are spraying with tobacco extract to ward off insect infestation, or spraying compost tea to protect against fungal disease. Timing is important for nutritional and some disease treatment sprays, because the stomata are not wide open all day long. 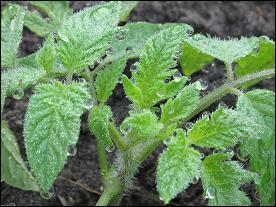 Plants respire through their leaves more readily in the cooler hours of evening, night and morning. During the heat of the day, they clamp shut the stomata cells and do as little respiration as possible. This is to reduce water loss from evaporation. The hotter it gets, the more pronounced this strategy becomes. So foliar feeding for nutritional or internal disease prevention is most effective when those plants are breathing. If, on the other hand, the plants need to be sprayed to ward off external threats, then the timing of the spray is not as important. For instance, in the case of imminent fungal disease (such as blight), the spray doesn’t need to get into the plant at all, but rather needs to coat the outside of the leaf and interrupt infection by a disease-causing microorganism. The spray itself forms a barrier through which disease organisms can’t penetrate. For our little seedlings, my farming partner blended up a thin mix of certified organic, fast-release, natural-material fertilizers (such as kelp, alfalfa and fish meal, as opposed to inorganic chemicals), to provide a combination of macro- and micro-nutrients to the plant. She sprayed the plants several times, either as early or as late in the day as possible depending on her schedule. Since we didn’t know the mechanism or organism that was weakening and killing our seedlings, this dose of high nutrition was the only thing we could think of that was likely to help as many of the plants as possible. When I’ve done research in the past on foliar feeding, I was surprised to see that it really is a very valuable, flexible tool for giving plants a nice boost. I recall reading somewhere that most plants can actually absorb up to 40% of their nutritional needs through their leaves. Some categories of plants, such as orchids and predatory plants like the Venus flytrap and pitcher plant, can absorb a lot more than that. We get so accustomed to thinking about feeding plants through their roots that we forget about this other tool in the toolbox. So, Dear Reader, the next time you have some concerns about your plants, consider foliar feeding as a really nice way to get some goodness into those plants, quickly and effectively. Whether they be standard household Pathos, Dracaena, African violets and ferns, or a greenhouse full of prize tomatoes, they’ll appreciate the drink. For more information about foliar feeding, simply Google for that term and then enjoy the reading. Here’s to healthy, happy plants! 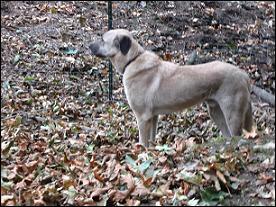 We’ve had livestock guardian dogs for several years now. And the longer we have them, the more we learn about all the different skills, and challenges, they offer us. Like any valued friend, family member, colleague or employee, it’s usually a mixed bag. Sometime last week, as the weather finally broke for a few nice days of warm sunny conditions, the goats did something they do every spring. Namely, they found a weak spot in the fence and went for a walk. Unfortunately for their ambitions, they met up with two of our Anatolian Shepherds, who knew they weren’t supposed to be out and about. More accurately, the dogs knew where the goats were supposed to be, and suddenly they weren’t where they were supposed to be. Anatolians, like other livestock guardian dogs, quickly learn what is “normal” on the farm (or in the neighborhood) and their job is to preserve that status quo. We usually think of that work as keeping strangers off the farm. But in this context, it meant keeping the goats where they belonged. And Cougar and Pamuk did an admirable job. The goats had jumped a fence that ran alongside an aisle. That aisle, in turn, connected with the driveway at one end, and one of our big fenced browsing areas on the other end. The goats could have gone either direction and munched to their little hearts’ content. Except Cougar stationed himself at one end of the aisle, and Pamuk stationed herself at the other end of the aisle, thus boxing in the goats. The wayward goats had to entertain themselves in a tiny little side yard until I got home. The dogs didn’t chase the goats, or heckle them in any way. They merely kept them from going too far outside of where they were supposed to be. That is the nature of Anatolians - preserving the status quo to the best of their ability, with as little drama as possible. When I got home and found that situation, I got the goats back where they belonged, fixed the fence, and spent some time praising both dogs. Cougar is a veteran here with almost two years of service now behind him. But this had been Pamuk’s first real on-farm task, without supervision of any kind. She had done spectacularly well - just enough presence and confidence to keep goats from charging her, even though a number of them outweighed her two to one, yet absolutely no force or actual physical contact at any time. We want them to use only as much force as needed to get the job done and she’d done it. I praised them a lot that afternoon. Only a few days later, we saw the other side of Anatolians, again with Pamuk. That particular day, I had put Pamuk out in a supposedly secure exercise run. Then I left the farm for the day to work at the partner farm. I had been at the partner farm for several hours, when my cellphone rang. “Hi, um, I have your dog here, I think her name is Pamuk. Can you come get her?” Apparently that secure exercise run wasn’t so secure. She had gotten out, apparently crossed our property, crossed the property next to us, and ended up at the property on the far side of our eastern neighbor. All told she had gone only about ¼ mile. But as I stood there trying to digest the concept that she’d gotten out at all, some very scary questions started to come to mind. Had she hassled any of the animals on our farm? Had she chased anyone else’s animals? Had she killed anything? Was she injured or scared or aggressive or…….. ???? The mind starts to race with all sorts of unpleasant images when presented with a phone call like that. I told my partner that I had to get home, and I’m pretty sure I sprayed all sorts of gravel out behind me as my truck flew down her driveway. When I got to the neighbor’s, Pamuk was calmly laying down in their driveway, wagging her tail, while the homeowner crouched beside her, scratching her head and keeping her company. “Wow, she knows the sound of that truck!” said the homeowner. “She perked up right before you pulled in!” All of my nightmarish scenarios started to melt away. Apparently, she had wandered into his yard from the south, which meant she had avoided the road and had skirted the houses between our property and theirs. They had horses which she hadn’t bothered at all. She was wet, muddy, looked a little tired and actually to my eye she looked a little spooked too. The homeowner said that he had come out to his truck to get something, and she was sitting right there by the passenger door, as if waiting for a ride home. She had been friendly and respectful and cooperative as he read her collar to get the microchip info. She’d been with us such a short time we hadn’t gotten her a customized tag yet, but her microchip tag gave him the chip number and a 1-800 number to call. He called them, and they gave him her name and the agency which had chipped her - the shelter we adopted her from. He called them and got my name and phone number. The total elapsed time between him finding Pamuk and finding me was maybe 10 minutes. I thanked him profusely, gave her the command to jump in the truck for the short ride home, and off we went. Nothing at home was stirring, so she hadn’t gotten into any mischief while at liberty. I put her back in the yard, figured out how she got out, repaired that, then sat down and let my blood pressure return to normal. Many, many people, and websites, will trumpet how livestock guardian dogs automatically know their job. They need no training, no socialization, no human contact of any kind. To all that well intentioned advice, I say: WRONG. Yes, these dogs have 4,000 years of behavioral traits, instincts and intelligence such that they can determine what needs to happen even without human guidance. Like Cougar and Pamuk did when the goats got out only a few days prior. BUT, these dogs also live on farms and ranches which increasingly are surrounded by subdivisions, highways, schools, athletic fields and other human activities. Even in the wide open prairie county where I grew up, where I could walk all day in a straight line and not hit a single fenceline, human beings are increasingly coming in contact with the herds and flocks that these dogs protect. I believe it is not only our legal responsibility, but also our moral obligation to ensure that these dogs not only know their guardian duties, but also know how to interact with human beings. Both the good guys and the bad guys. Because you never know who they might encounter during the day. And we also need to do our very best to ensure that they stay on our properties. That homeowner who found Pamuk would have been in his rights to have shot her on sight. She was an unknown dog on his property. It was only his generosity that kept her alive. The fact that she got out of what should have been a secure yard was MY failing, which I promptly fixed. And finally, we must take the responsibility to ensure that our ownership and contact information can instantly be determined if, despite our best efforts, they do get away from us. Most folks, in most places, will try to reunite a dog with its home, if given even half a chance to do so. All the training and handling I’d done with Pamuk while she was still at the shelter paid off that day, when that homeowner was able to work with her so easily. We got our dog back because we opted to have her chipped, and we’d taken the time to ensure she worked well with people. But most importantly, we failed to keep her contained which could have resulted in catastrophe. So for all those folks who want livestock guardian dogs to guard their homes, their possessions, their flocks, and their property, be advised: Some Assembly Required. The good news is, that effort pays off in ways which can’t be counted. We’ll never be without our Anatolians, even though sometimes we really have to work at providing and maintaining a suitable environment for them. The rewards from having Team Anatolian are worth every moment of effort, and every penny spent.